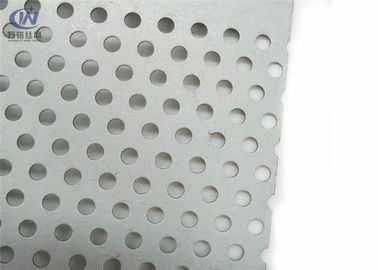 Perforated round hole metal is typically produced from coil and staggered (60 degree pattern) is standard. Variations include 45 degree staggered, and straight line pattern. It can be produced in widths up to 60" and in any length (typically under 250" for shipping purposes). 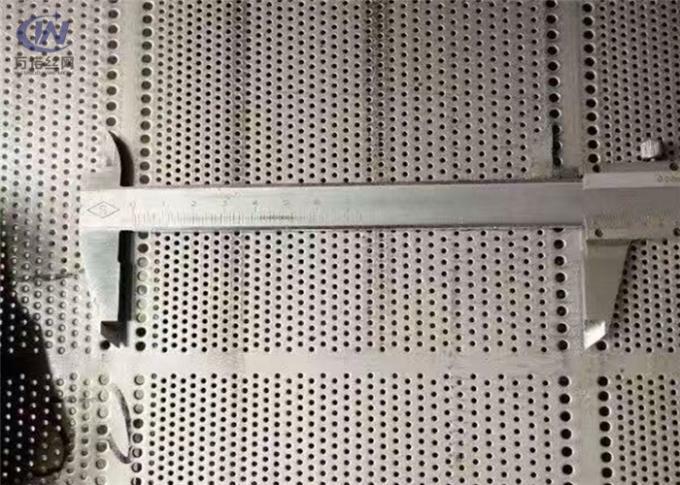 It can be lightweight in gauge, have small or large optically appealing openings and be very suitable for many architectural and display uses. 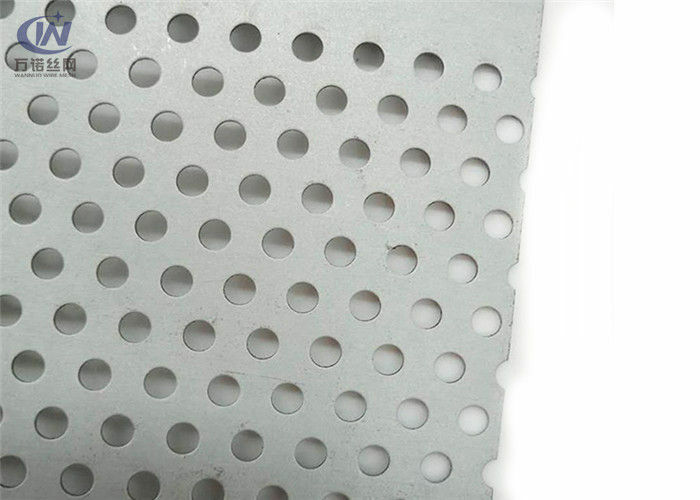 Whether used for technical or decorative applications, round hole perforations are the most frequently used in perforated products. Geometrically, a round hole is the most solid shape.